To point out the hypocrisy of responding in this manner to what has been uniformly portrayed as an attack on one of the core principles of liberal democracies (that is, freedom of expression) has become a bit of a sport online. 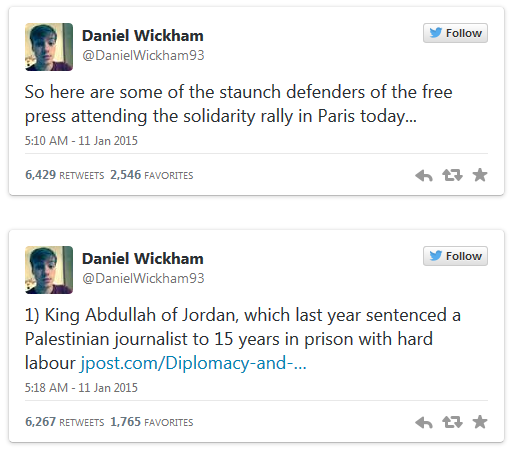 I think here of Daniel Wickham‘s now famous series of tweets concerning the world leaders attending the recent Paris “unity march” who have, shall we say, less than stellar records when it comes to promoting free speech in their own countries. 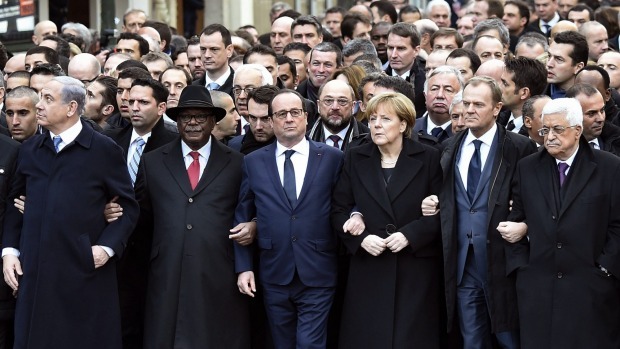 Noting that the much celebrated solidarity which was the march’s theme was rather undermined by the fact that the various leaders who attended marched in their own pack, well separated from the other citizens by security forces, has also been portrayed as signalling much about the hypocrisy of the narrative used by so many to make sense of the Paris attacks.. But I have a problem with this notion of hypocrisy and the manner in which seemingly progressive critics are making this charge. 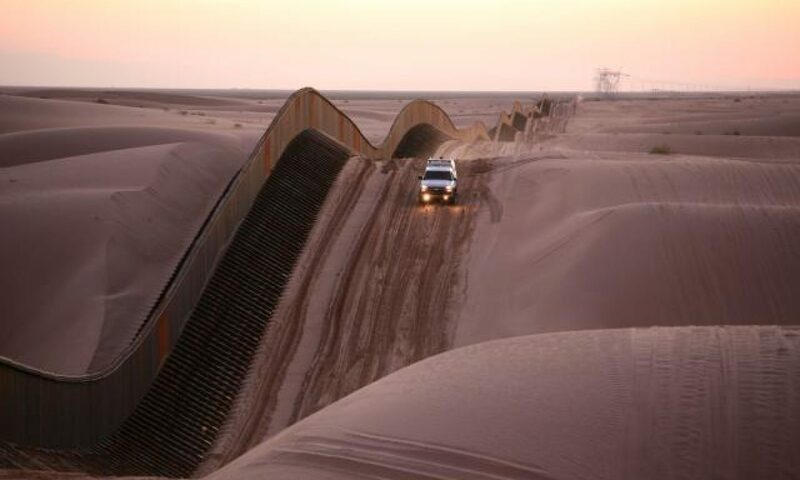 Freedom is therefore not some abstract value, the absence of all regulation but, rather, just a euphemism for constraint — a word for what we can do only when limited in this or that way. Being free, then, merely means being at home amidst a particular system order, accustomed to a structure so taken for granted that its edges define the limits of the known and the doable. And thus all we have is a variety of different systems of order, each enabling different freedoms, some undoubtedly working at cross-purposes and thus alienated from each other, and all working to portray themselves as the triumphant, universal, singular standard — a position occupied by those complaining about hypocrisy no less than those about whom they complain. 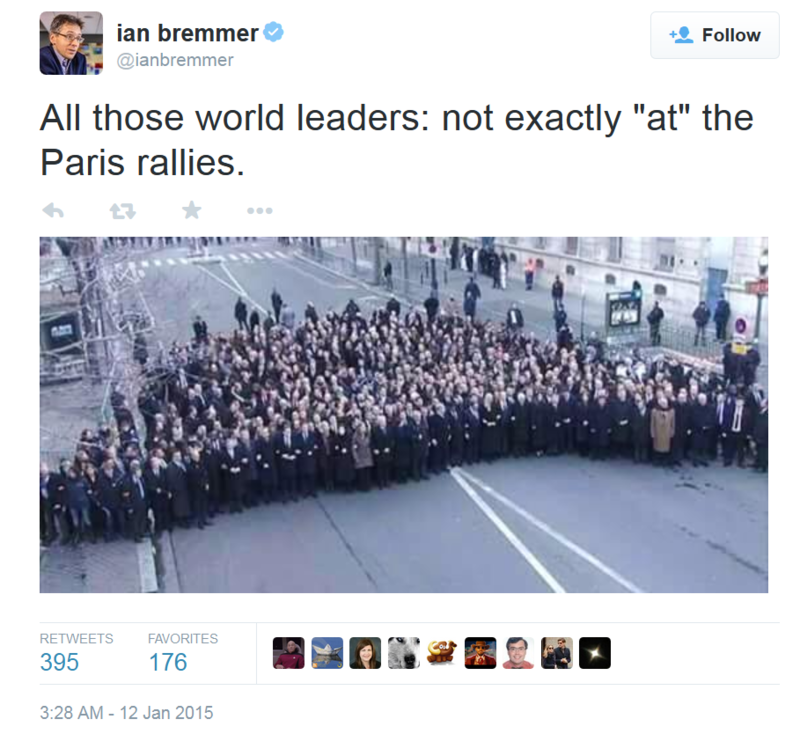 We have libel laws, after all, don’t we? 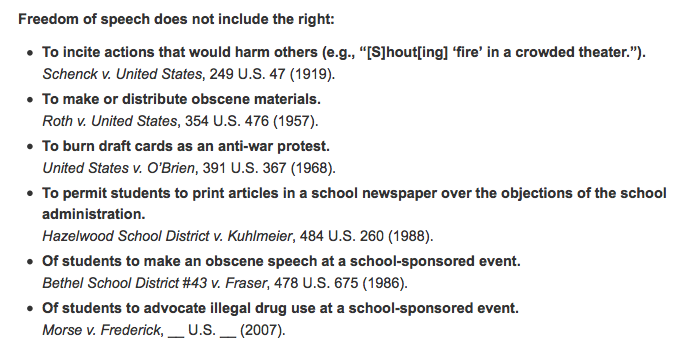 Rules against hate speech. Copyright laws. Official secrets acts that punish espionage. Even blasphemy is still on the books in Canada, of all places. So it seems to me that claims of hypocrisy are not to be confused with critical analysis of the situation now in France; rather, they’re evidence of sets of competing interests butting heads, creating competing narratives, where contrary universals meet, making me all the more curious about the internalized rules and social interests of the one who so confidently proclaims the other to be a pretender. (What constraints enable their speech and what interests do they serve?) Claims of hypocrisy are thus rhetorical, not descriptive of some actual state of affairs; they are a form of jousting in support of a norm that, as the claim itself makes clear, is hardly shared by all. And, failing to see all systems of constraint as multiple, historical, situational, and, yes, contradictory — their own included — they’re surprisingly conservative despite their progressive appearance.